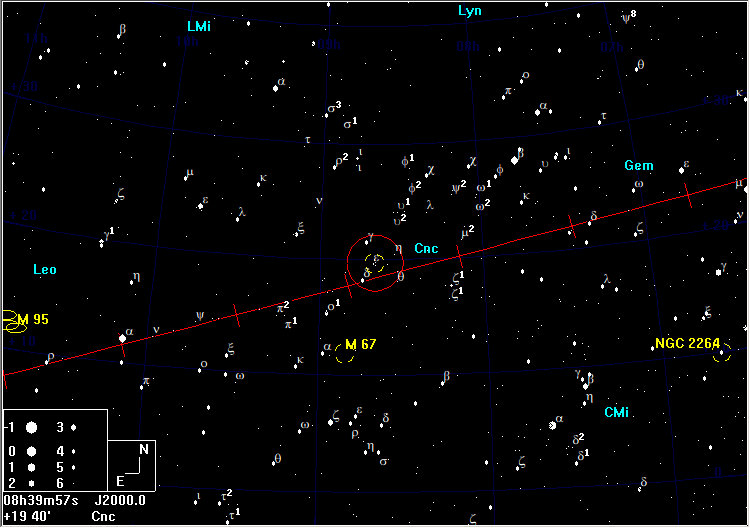 M44, which is visible to the naked eye, is in the same 5° field as γ, δ, and η Cancri, and contains ε Cnc. 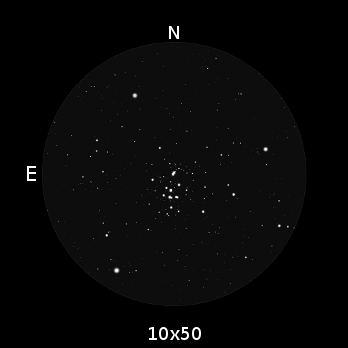 The Beehive is a very nice binocular object, in which you may be able to resolve up to 20 or so stars in 10×50 binoculars. You should also be able to resolve two binocular double stars, ADS 6915 and ADS 6921. 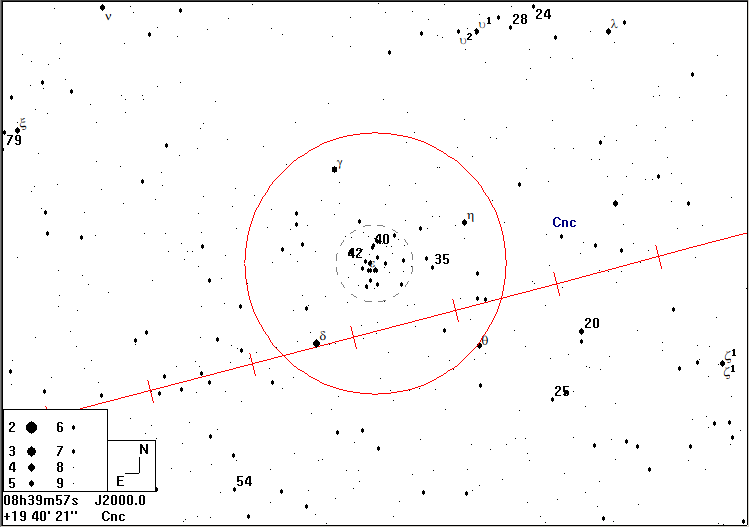 M44 is framed by an asterism known as The Manger, that has Asellus Australis, Asellus Borealis (γ Cncn) η and θ Cnc at its corners.